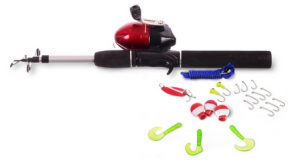 Have you thought about family fishing trips? They can be fun, inexpensive and create a wonderful memory. Family fishing trips can be a great experience for everyone. Its an inter generational event that is not necessarily competitive. 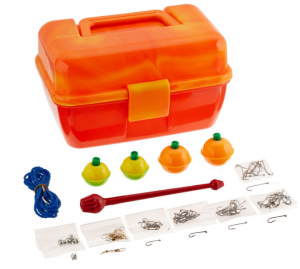 The fishing gear can be inexpensive and should last for a long time. I had the first rod and reel that I bought off a comic book cover for more than 40 years. I hope the person who stole it is still enjoying it. A lake close to home is best as the family begins to fish together. Long drives, for an experiment like fishing, can often prove difficult. A “put & take” pay-lake is a good idea because there is a high likelihood of everyone catching fish. Adults should understand that they will not be fishing very much while children learn to bait a hook, put on a lure, cast, untangle line, unsnag line, untangle line, take fish off the hook, unsnag line, rebait the hook or change lures, and cast. This is short term pain that will provide wonderful long term gains. The idea is to help kids enjoy the experience. If you are a novice as well, you will have the joy of learning together. Some people just don’t like the idea of catching a fish. This goes for kids and adults. So, family fishing trips should include other activities that involve everyone…. a meal, a movie, swimming, a hike, shopping or a boat ride. Everyone should have fun at a family event. I suggest that the everyone draw straws to decide who gets to keep their cell phone “in case of emergency.” Everyone else leaves the phone in the car. Include the non-enthusiastic by having them pick the fishing spot, or drive the boat or choose the lures. There are lots of ways to involve everyone. Its easy to offer a reason for staying home, but home now tends to be a place where people are isolated by chores, or computers, or cell phones or TV or something else. 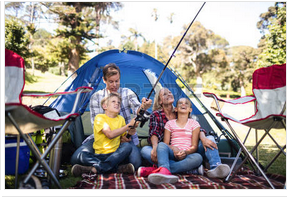 Family fishing trips can bring the family together focusing on each other. Find a lake near you. Asking at a bait shop or sporting goods store can often provide good information for planning your day together. 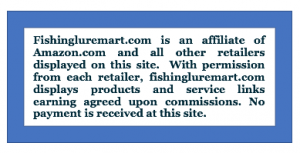 Do you need fresh water lures? Is there a tackle shop nearby. 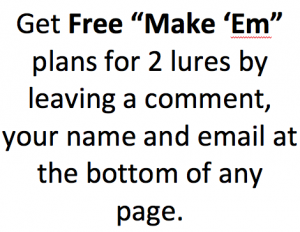 Do you need a fishing boat? Where can you find state fishing regulations? Who needs a fishing license. Plan a family fishing trip. If your family is too busy to go fishing, you are too busy. Leave a comment below. 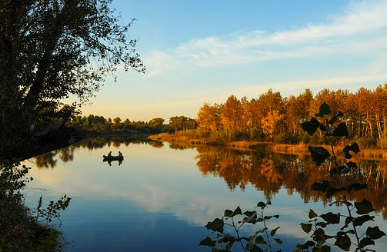 When did you take your last family fishing trip? Was it fun? Fishing Therapy is recreation and sport. Fishing therapy is recreation and sport. When we fish, we are in nature. Sometimes, we are in the water. We can be on the water. Sometimes, we are near the water. We are outdoors. A deep breath in the fresh air, a stretch in the sunlight, smelling a wild flower, lying down in the grass are all simple ways to be in nature. Being in nature calms emotions clearing the mind. When we fish, we experience some basic instincts. Our hunting/gathering nature is kicks in as we search for the deep hole in the lake or the eddy behind the rock or the break in the weeds. We battle the fish rather than the store clerk or mechanic or teacher or neighbor. Even if we don’t eat fish, after a successful catch. we find some sense of pride in knowing that we could provide. Fishing is healthy. When we hook that fish, our heart races. Our breath quickens, We begin the exercise of playing the fish. A day of walking the bank, wading the stream or moving about the boat can be quite a workout. Some fishing spots challenge us with strenuous climbing across logs and over rock or scrambling up and down steep river banks. Fishing Therapy is good therapy. We laugh and yell in delight. We talk to the fish on the line and in the water. Doing all the actions of fishing like casting, baiting the hook or reading the water makes us proud. We enjoy friendly competition with buddies and famiy. Stories of “the one that got away”,from family fishing trips, are told for decades. Everything around us fades, for just awhile and we feel better when we fish. Whether we are world class athletes or hampered by a physical disability, we can go fishing. Children using their first fishing rod need help. One person may not like baiting a hook. Another may be afraid to take a fish off the line. Someone may not want to go ocean fishing because they get sea sick. Another person may not want to be in a boat at all. Everyone can find some way, some where to go fishing. I am quite convinced that the world would be a different place if our leaders regularly fished together. Please leave a comment below. Why do you fish? Would you like to start fishing?